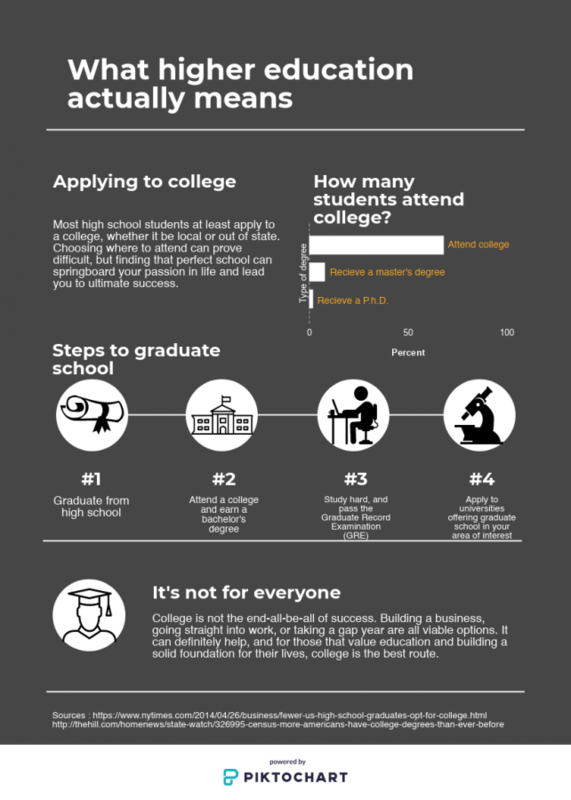 Students often stress over what to major in far before they ever get into college. College, the gateway to higher education, exposes students to a new realm of learning. Centuries of development in how college functions has led to a rigid standard. Students arrive, sign up for classes, and eventually sign up for a major that determines the courses they take, without much guidance on the correct pathway. 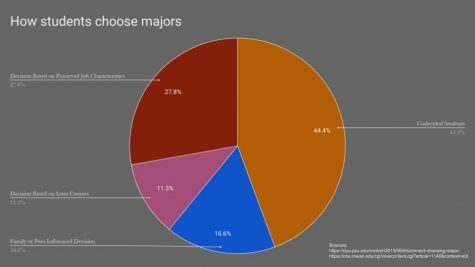 Using academic study data, freshman major choices are based on a wide variety of decisions, mostly stemming from job characteristics. College majors pose a difficult choice on new university students. Understanding what majors students can choose and what course requirements need can pressure them into hastily deciding what their future will look like. High school students can even take a peek at what to expect from their desired college, as most list their offered majors online. Students that possess passions for certain subjects often commit themselves earlier than others to start major-specific courses. Those that end up unhappy with the major they selected can always switch, though waiting too late can hurt chances of completing a degree. About 80% of students change their major sometime throughout college, so taking time to grow and understand what excites students can increase their positive experiences heading to the later years of college education. “I know I’m going to college, but I don’t really know for what exactly. I feel like a lot of college freshman just kind of have to find their way, and see what they really want to do before committing to an actual major,” NC senior Sierra Mchugh-Bryan said. The pressure to commit to a major should not hit until later in college, but knowing what to shoot for in college helps students grip higher education in a more tangible way. “My friends are kinda like me in the sense that they don’t really know what they are doing for their future. Those guys that have everything all figured out scare me a little, like how can you know all that before college?” Mchugh-Bryan said. But knowing that deciding on a major does not seal their fate can help students even further. “Your major doesn’t define your future, only you do. There are plenty of people that never use their major in their job, but got a good college experience,” Vejnar said. Developing a passion for a subject can often lead to a lifelong career in which people feel happy doing. Only about 13% of workers worldwide do not dread that Monday morning, so taking the time to reflect and adapt in college can lead to a happier life. Developing passions and receiving credentials and experience doing tangible work all add to what the ultimate college experience should feel like. “I’m taking lots of science intensive courses this year, and it’s challenging but definitely worth it. 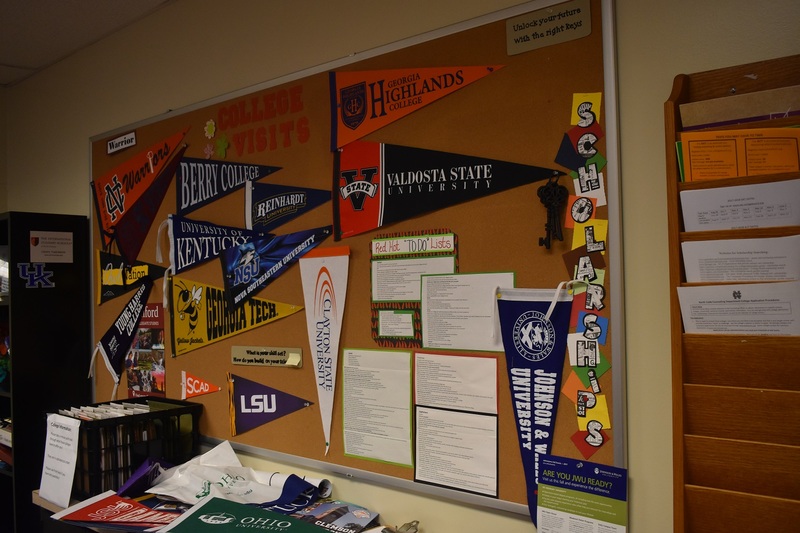 Once you get past your general education courses, your major pretty much takes over and you can focus on what you enjoy,” Mercer University junior Chris Tutterow said. Specialized schools can offer specific majors to help students hone their skills, but may offer a lesser range. Georgia Institute of Technology (Georgia Tech) is the top choice for people interested in science, technology, engineering, and mathematics (STEM). This technical college reflects what a specialized school looks like in action. “Every major, whether it’s ones that are clearly technologically-oriented like engineering or computer science or ones that aren’t, like our liberal arts and business majors, has a technological spin. For example, instead of just a history major, we have History, Technology, and Science. If you are interested in the technological avenues of your passion, whatever it may be, and all of the myriad opportunities that come out of exploring that relationship, then Tech is the best place in the state,” Georgia Tech freshman Katherine Shambaugh said. Colleges also require general education courses, which constitute the courses such as English 101 and Health 101 that every student must take to graduate, similar to how North Cobb requires a certain amount of courses to be taken throughout high school. These may feel annoying to those wanting to focus solely on their major, but it can help student’s experiences. “I don’t think [general education] courses are intrusive at all. Yeah it’s annoying sometimes but for the most part it really is content that you need as prerequisites for your major so there’s no getting around it. That’s the nice thing about having major specific core classes. And then a lot of the [general education] class requirements still allow students to have choices. For example, my [Computational Media] major requires that I take two lab sciences but doesn’t say that they have to be particular sciences so I can choose what is interesting to me,” Shambaugh said. Students do not need to select their major until their sophomore or junior years in college in most universities, so exploring options and truly feeling happy with a decision can also fuel a desire to pursue even higher education in graduate school. “People don’t necessarily always realize that you can choose minute majors in college, such as Applied Mathematics or even something like African Studies. These can maintain someone’s passion, and they can go even more specific in grad school,” AP Calculus and Geometry Support teacher Cim Keith said.